Home // Biblical Principles // It’s Imperative! If you have been reading “A Chapter a Day” with me, you know that today’s chapter is 2 Corinthians 13. Have you read it yet? As he often does near the end of his letters, the Apostle Paul finishes this letter to the church at Corinth with a series of staccato imperatives (vv. 11-12). They apply to us today as well. Did you hear them? Rejoice. No matter our circumstance, we should ask God to help us choose joy. Aim for restoration. Our ultimate goal should be to restore, not punish, those who have strayed. Agree with one another. Unity in the gospel by the power of the Spirit should characterize our life together. Live in peace. Continual conflict does not honor the Lord and is not good for us. Greet one another. A common courtesy, but a necessary ingredient to warm fellowship in the body of Christ. Tomorrow’s chapter is 1 Peter 1. 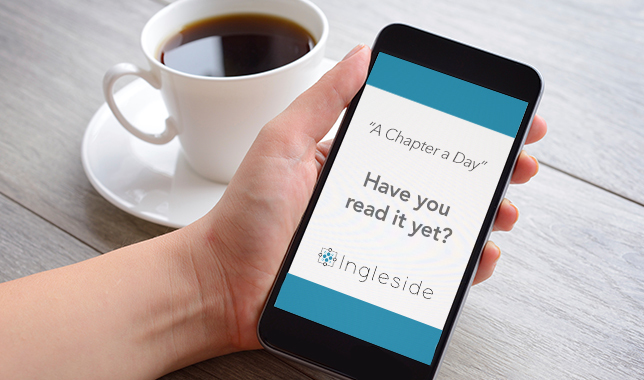 Thanks for reading the Word with me – a chapter a day.